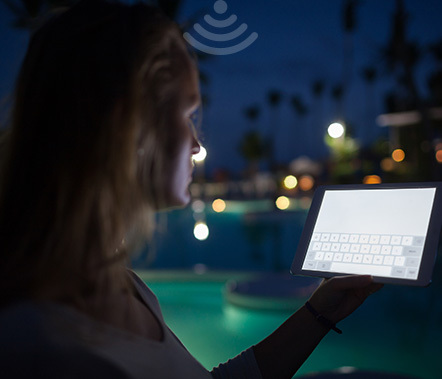 Uninterrupted access to Wi-Fi is now a basic standard for resorts, hotels and motels. 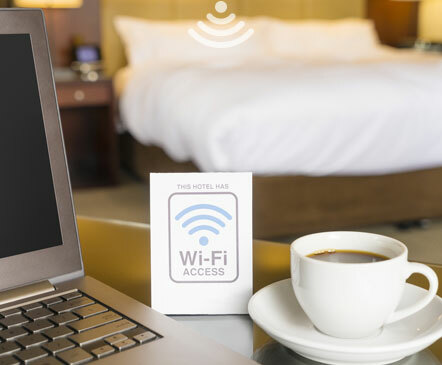 Hitting the benchmark with a high-quality hotel Wi-Fi solution guarantees your guests needs are met and keeps businesses ahead of the curve when it comes to the competition. A strong Wi-Fi signal is among the most heavily searched-for terms when guests decide who they will stay with. Why do our solutions work so well? The Teksupport hotel Wi-Fi solution is unlike any other. Exclusive to the vendor we use, it delivers connectivity via a virtual Wi-Fi cell solution, allowing users to remain connected seamlessly across the entire premises. Smartphone, tablet, laptop…todays devices are fundamental basics. If guests can’t download, work, communicate or play on their devices, even the most impressive room won’t be enough. When an in-house hotel Wi-Fi solution meets client demand, your business ticks the box on a standard that is all too often missed. The message is clear: your Wi-Fi signal needs to be strong, constant and reliable if you want keep guests happy. Overdue for a hotel Wi-Fi update? Hotel wireless solutions have evolved rapidly in the last decade. What was acceptable even two years ago fails to stand up to the demands of basics like Netflix, Foxtel, and your guests favourite catch up channels. And that’s just for relaxation. For guests on a business trip, a strong signal isn’t a bonus- it’s an essential basic, and one that you absolutely must accommodate to maintain guest satisfaction. Is it time to update your hotel Wi-Fi network? Don’t waste another opportunity to lead by example. Teksupport hotel Wi-Fi network solutions have improved business across a broad variety of hotels, motels and resorts, and our team of experts are happy to demonstrate. Call Teksupport on (03) 9590 0560 for more information today.